Why doesn't clocking location show on Time Clock page? If location access is allowed for PARiM app, the Time Clock page will show the exact location where the person clocked in and out of their shift. This information can be found under the pin icon - it is green if the clocking location falls within the allowed radius and red if the clocking action was done too far away from the site. 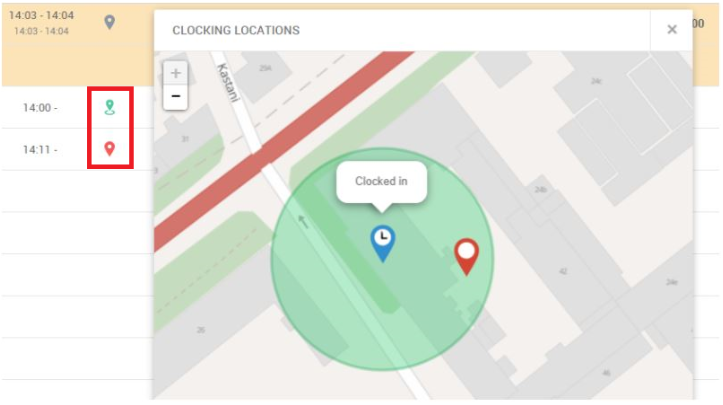 When the clocking is not visible on 'Time Clock' page, then the user does not allow the phone to send location details. 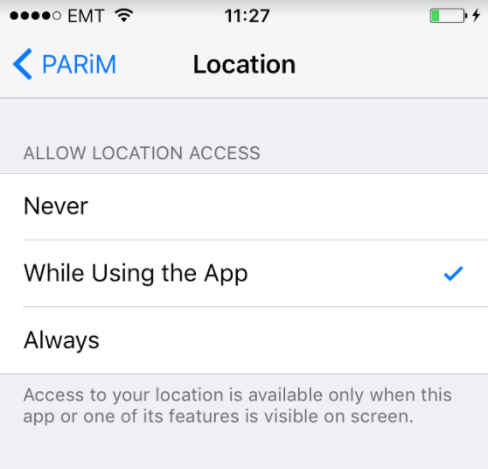 PARiM app asks for permission to send location details during initial installing and later the setting can be changed under phone settings for apps.